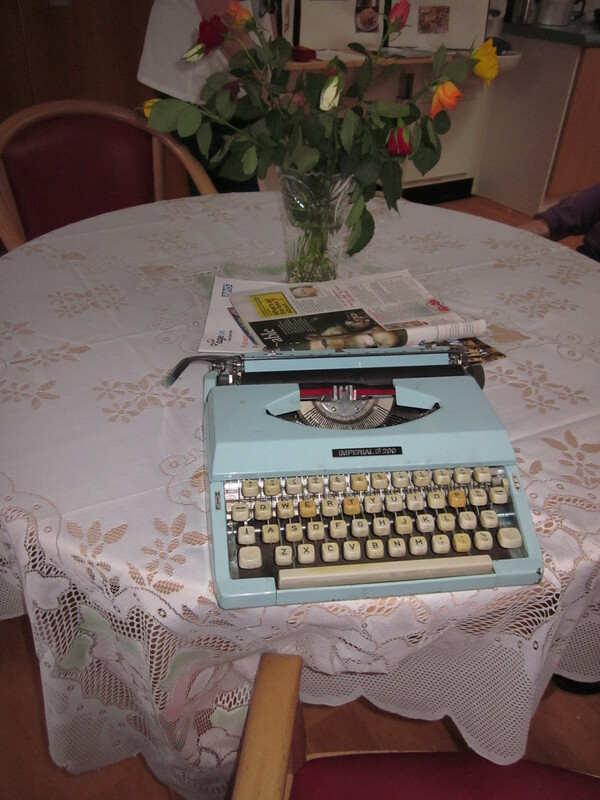 My vintage typewriter at Walton Hospital’s tea party. On Tuesday, we celebrated St Patrick’s Day, and we looked at the history of St Patrick and the culture of celebrating all things Irish! Some patients were Irish or had Irish ancestors, and we talked about the Irish sense of humour, accents, shamrocks, Guinness, Irish music, whiskey, soda bread, white pudding, the absence of snakes in Ireland, leprechauns, Daniel O’Donnell, religion and superstition. We also made up our own limericks. 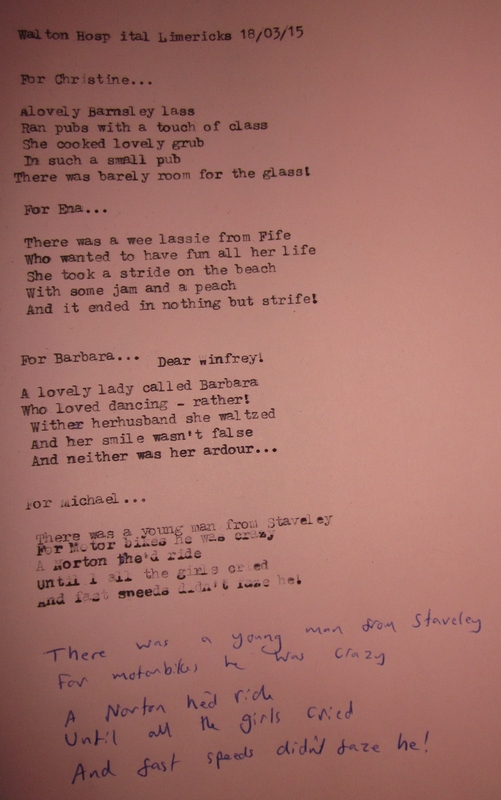 I brought in my vintage typewriter, which originally belonged to my dad, to write the poems, and this led to lots of nostalgia from staff and patients about learning to type at school and work. Writing the limericks was a great opportunity to chat to each patient, about where they came from and what their hobbies and interests are. We also had a good laugh! I hope you enjoy the limericks below, although my typing skills need some improvement! 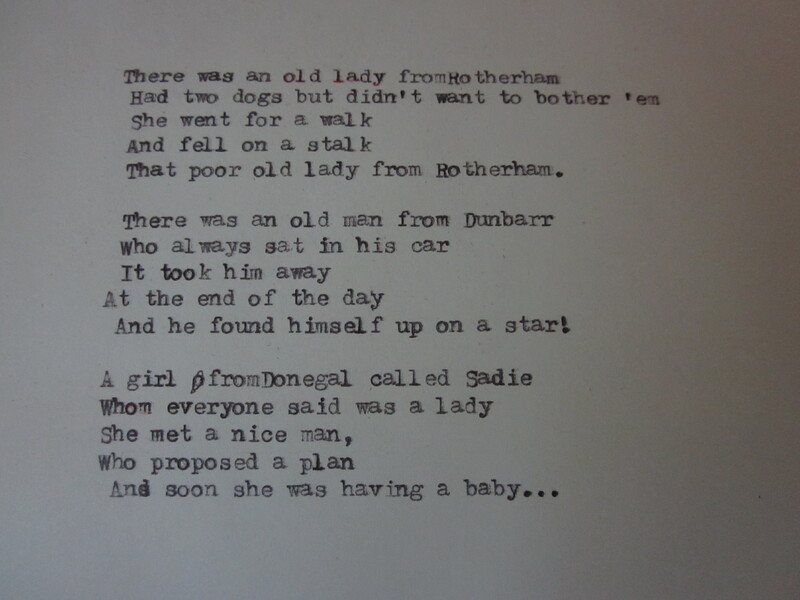 Limericks written with patients at Cavendish Hospital. 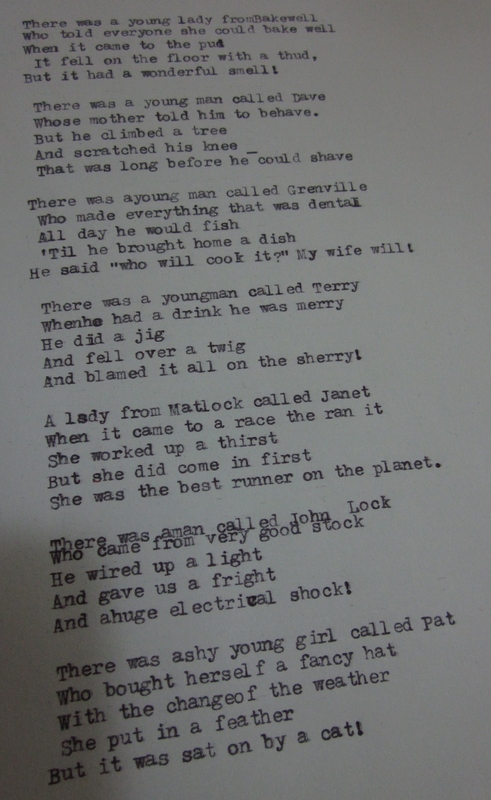 Limericks written with patients at Newholme Hospital. More poems from Newholme Hospital! 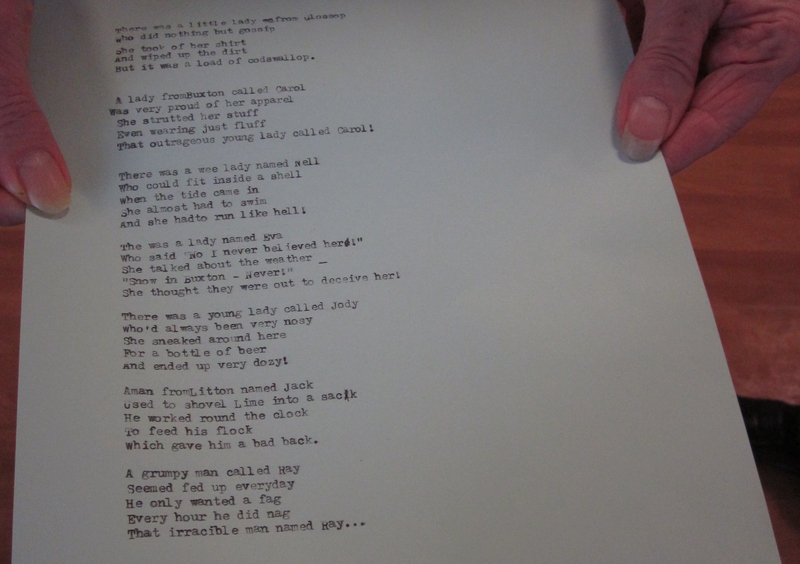 Poems written with patients at Walton Hospital. More poems written with Walton Hospital patients at their vintage tea party.